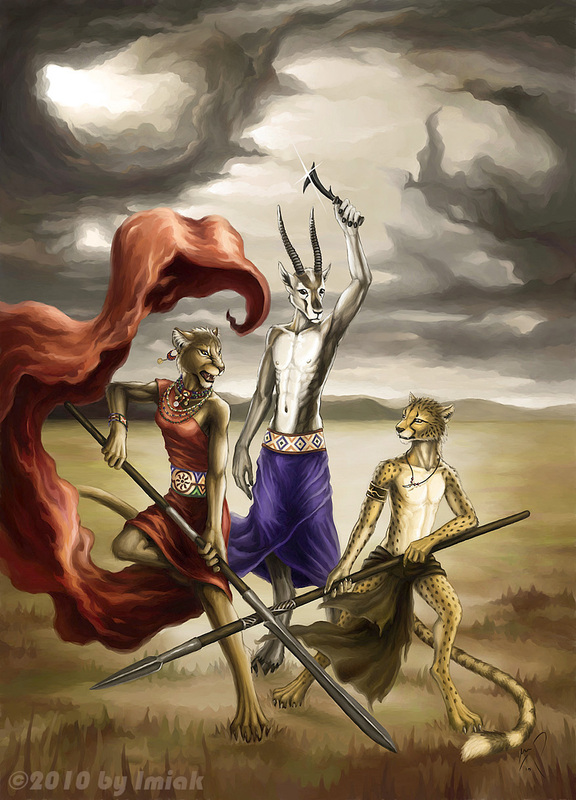 Entry for the conbook cover artwork contest for last year's (2010) Eurofurence, going by the theme "the Serengeti". Okay, I'm biased toward slender characters, I'll admit that. But I do think this is a lovely piece overall. I hope it went over well!